What is the most important bit of advice you could give to young photographers? 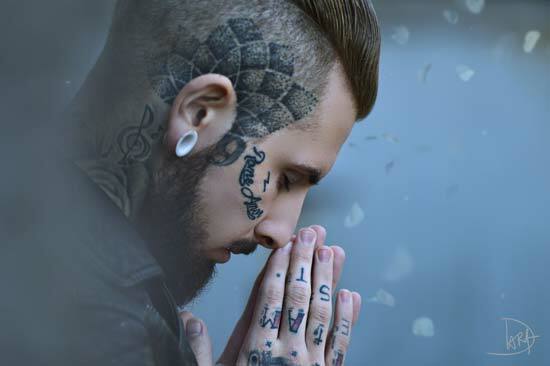 How and why did you start to specialise in tattoo photography? Throughout my 10 years at a traditional studio, where i was classically trained and mentored by some of the best mentors available to me. I strived to add an element to my work which could instantly be told apart from my peers. With this, I eventually left and more recently now run my own studio and workshops where i'm currently specialising in alternative tattoo & urban style photography. I took it upon myself to achieve this, as working in a traditional environment for so many years it was very sad to see that is was as though the alternative audience maybe felt uninvited to their scene. 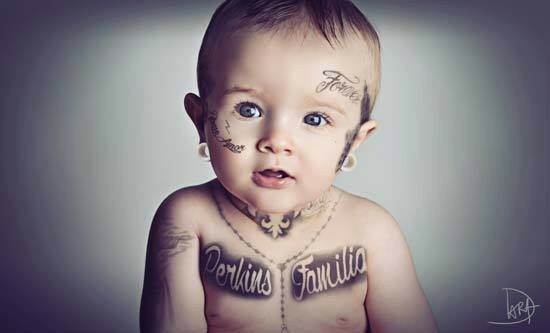 Why did they never get any fully tattoo clad gents or ladies looking for the very popular bare skin family shoots? Because they never catered for those people in the first place in order to shoot that type of session and then market that type of session. They made tons of money shooting regular Joe's but very rarely Hells Angel Joe and even when they did, they didn't then display these images on their traveling sales exhibitions or website as they were seen as a minority. Most of their business came from the regular Joe's. You sell what you see and to be frank, they didn't put that type of work out there to be seen. But the really sad thing is, it looks so freaking cool! It Just wasn't true to their style. But it's true to my style.